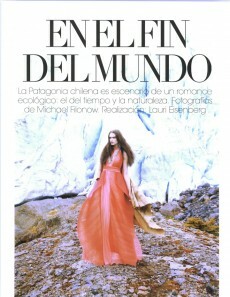 Patagonia Sur y Patagonia Sur Reserves fueron destacados en la edición de agosto 2012 de VOGUE. Patagonia Sur and Corporate Conservation Circle member Audemars Piguet (AP) join forces at international luxury watch fair, SIAR (Salón Internacional Alta Relojería), in Mexico City. 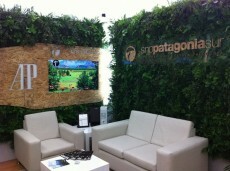 Through their outreach to the international attendees of SIAR, by planting trees in honor of each visitor to the AP suite, and by offsetting the suite’s carbon footprint, together Patagonia Sur and Audemars Piguet are raising awareness of climate change and the environment to a much broader audience. Fall and winter are also whale season in Melimoyu. In August, we saw two groups of whales in the Melimoyu Bay, one comprised of two whales, the other of four. And, our scientist-in-residence, Pete Stetson, found a Darwin’s Frog on our property, an exceptionally rare species. 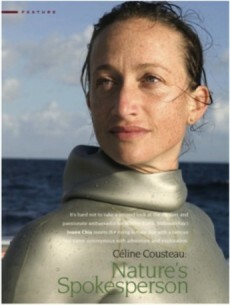 We are proud to share the exciting news that Céline Cousteau has joined The Patagonia Sur Nature Reserve Membership Club as an Honorary Member. © 2019 Patagonia Sur, LLC. All rights reserved.